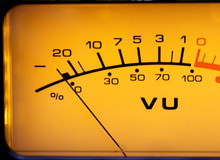 Weighing the pros and cons of DIY mastering - So You Want to Master Your Own Album? In this installment, we'll look at the consequences of the loudness war on music, sound and human ears. Today we'll continue our series on the volume wars. This time, we'll focus on mainly on compression. In this antepenultimate installment, we'll discuss several points that you need to bear in mind to get an optimal final result, depending on how your music will be distributed.